2016 was the 20th anniversary of the first NetDay and the signing of the Telecommunications Act of 1996. 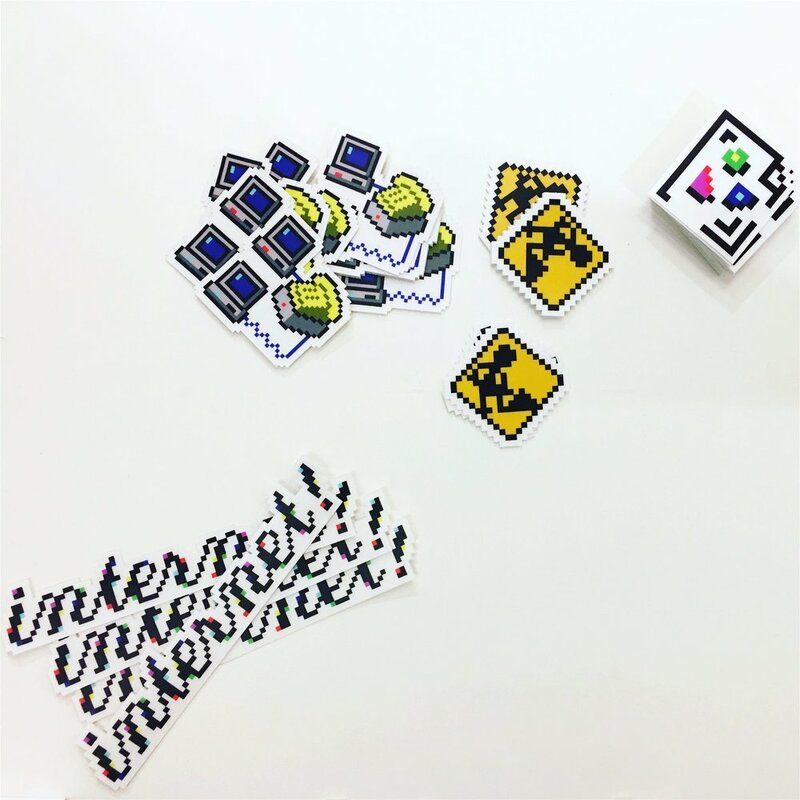 In celebration of the early web, I curated, art directed, and co-organized a gallery show and talk series with Tim Hwang, in partnership with the Internet Archive, San Francisco Chronicle, Electric Objects, and Google. Internet! A Retrospective took place at SPUR San Francisco in October 2016. We got a nice little writeup by Sarah Hotchkiss in KQED. All proceeds were donated to the Internet Archive. In the spirit of early web bitmap icons, I created a pixel script logo and recreated a few classic early web icons. Broken images, dial-up internet, and under construction pages forever in my heart. I designed and coded a funny little early web-inspired website to promote the event, located at theinternet.show. It was featured on Brutalist Websites. I designed and produced stickers, lapel pins, and hats to give away. We fully regret that red hat. Gabriele de Seta, Philip Zhai: Read his poems in Chinese here!